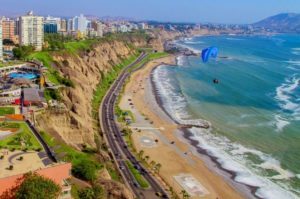 Buscojobs Colombia has enjoyed great acceptance by the most recognized business and educational sectors of the country, who have already begun to enjoy the many and outstanding services offered by the portal. It has useful and differential tools such as the job test, which gives the candidates more opportunities to assertively find a job that fits their professional, social and psychological needs. In turn, this tool is a great help for the business sector, who through this novel alternative manage to identify the most suitable professionals to fill their vacancies. Summary: Buscojobs is an aggregator job board created in 2007 in Uruguay before spreading to the rest of South America (19 countries, but the El Salvador page doesn’t work) as well as Portugal, Spain and the United States. You can advertise in English but most of the offers are in Spanish and none of their job page portals are available in English. Buscojobs’ activity has been dropping since March of this year (down to 90 000 visits per month right now). They have no social media links on their website and only 39 000 Facebook users from all the different countries combined felt they were worth following. On twitter, Buscojobs Colombia has 747 followers. According to the website, there are 46 000 job offers right now. Design: At the top of the page is a search bar in two parts (keyword and location). Underneath, jobseekers are encouraged to put their CV on the website with a list of job offers in a list below that. If the job advert is more than 7 days old, it automatically indicates “more than 13 hours ago” (unless you look through the jobs by city from the list at the bottom of the page). The filters are gender (even though it is illegal in Colombia to specify the gender wanted), age, region and job sector or when the advert was posted. In the list of jobs, the job title is emphasized and on the job page, the information included varies (so some offers are very long, some short). The possible sections are the salary, the zone, the required experience, the gender and the hours. Information about the company (location, sector, openings, logo) is available on the right-hand side, with very little emphasis on the employer. Lastly, adverts appear in the middle of the job offers, which can be confusing. Recruiter observations: According to the CIU (the Chambre of Industries in Uruguay) website, all the companies that are partners with the CIU are entitled to a 15% discount on their advertisement needs on Buscojobs (but that's not true). For pricing information, you need to e-mail (not call) the website, and to register in Colombia, you need a fiscal ID number (215520200013 if you aren’t in Colombia). You can create an account but it takes 24 hours to validate it. Since even the United States version of the website is only available in Spanish, the job board targets Spanish-speaking people. However, you can write to the website in English. The job offers: Between 2 and 10 job offers are posted a day. It doesn’t look like the job offers are deleted once the positions are filled. The most popular sectors are sales, production and IT. Tourism is at the bottom of the list. Verdict: The work profile test is interesting, the back office answers speedily and the website appears easy to use. However, the visibility is low and the job offers aren’t esthetically appealing.